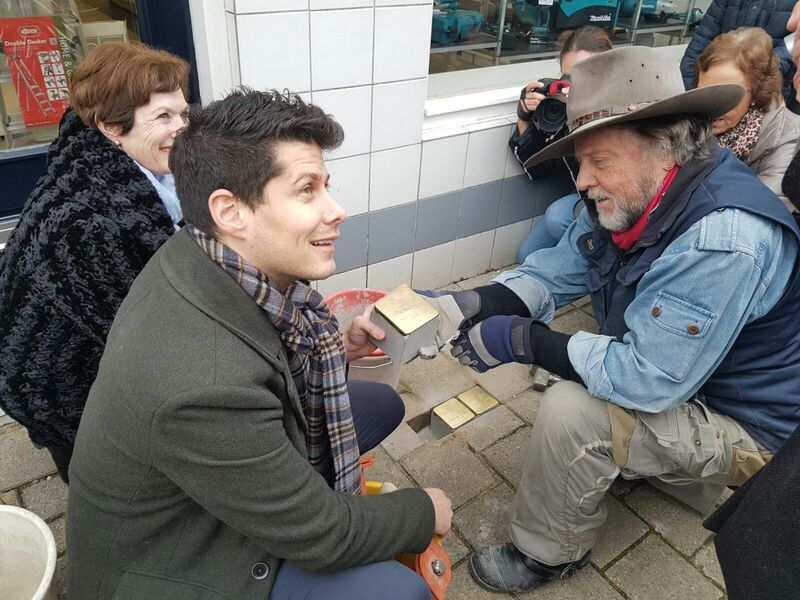 On February 6, 2017, fifteen Stolpersteine (project of mr. Demnig) were placed in Strijen. 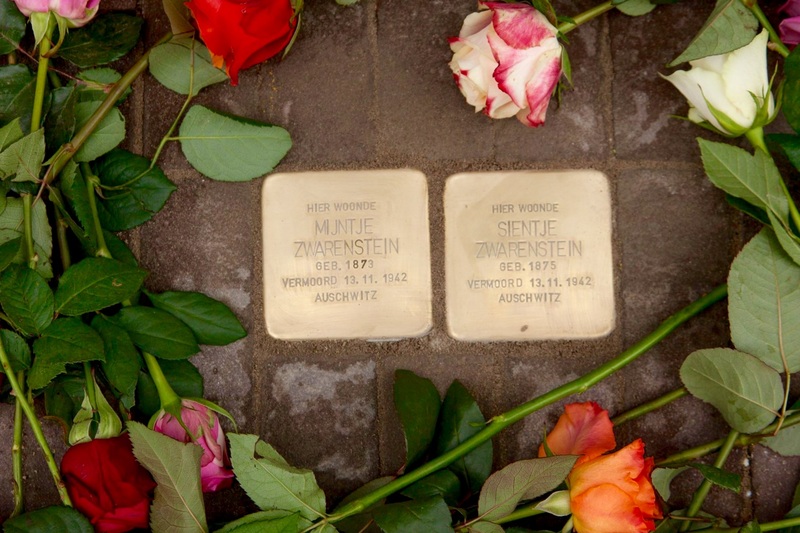 Gina Zwarenstein Tutunji, great-geeat granddaughter of some of the people for whom the Stolpersteine were placed, held a moving speech. 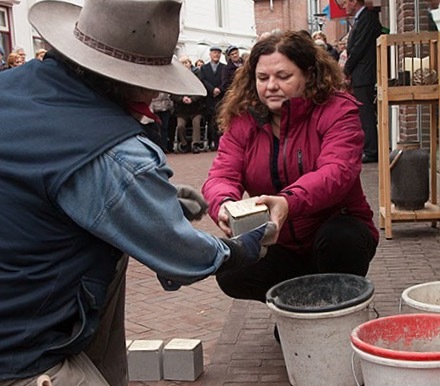 Afterwards, she and I (Mylène Zwarenstein) assisted mr. Demnig in placing twelve of the fifteen stones. 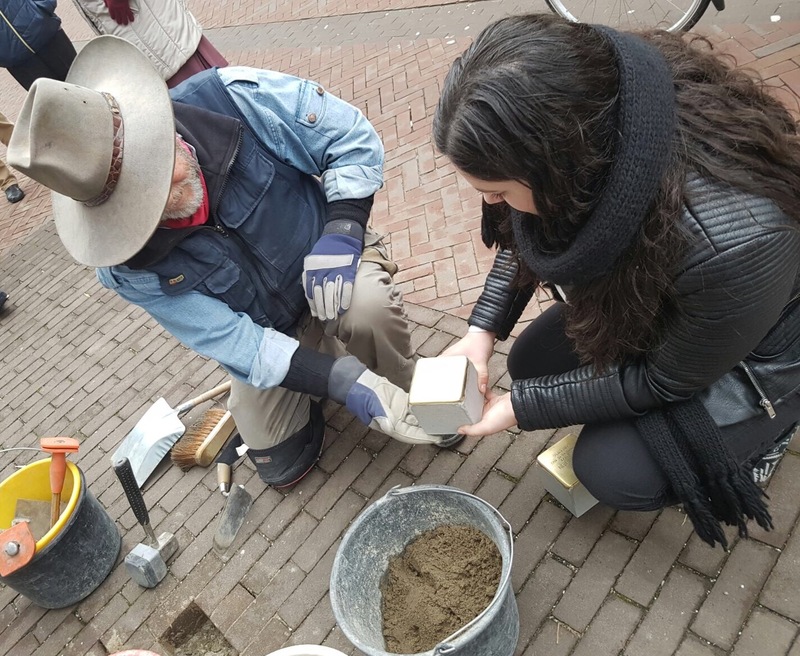 Granddaughter and great grandson of the van Coevorden family were also present and assisted in placing the stomes for their relatives. 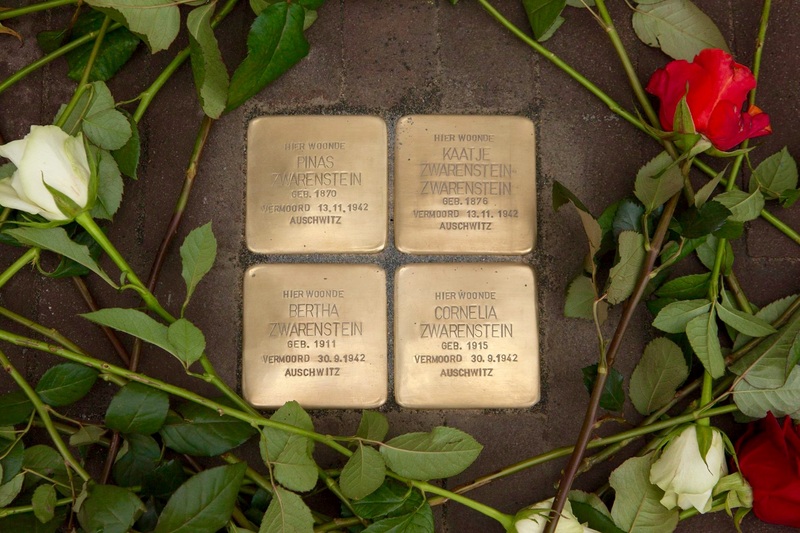 Since some time, my family and I, are following the news of mr. Demnigs Stolpersteine project. A little while ago we could announce that the stones for our murdered relatives were being placed. From many places the family reacted, from America, Canada, Australia, South Africa and of course from the Netherlands. They were grateful for this gesture. 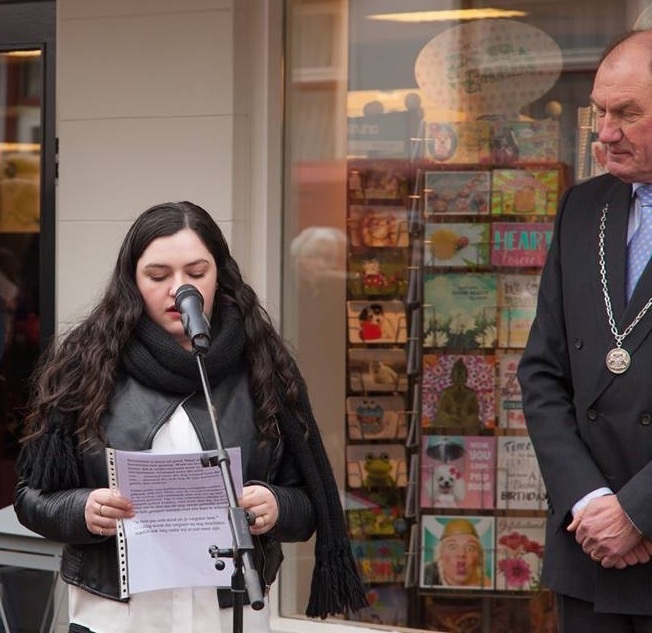 Grateful that mr. Demnig started this project and that the municipality of Strijen keeps investing in preserving her Jewish history. And sometimes it looks like it is about three families, but in reality it was one family. 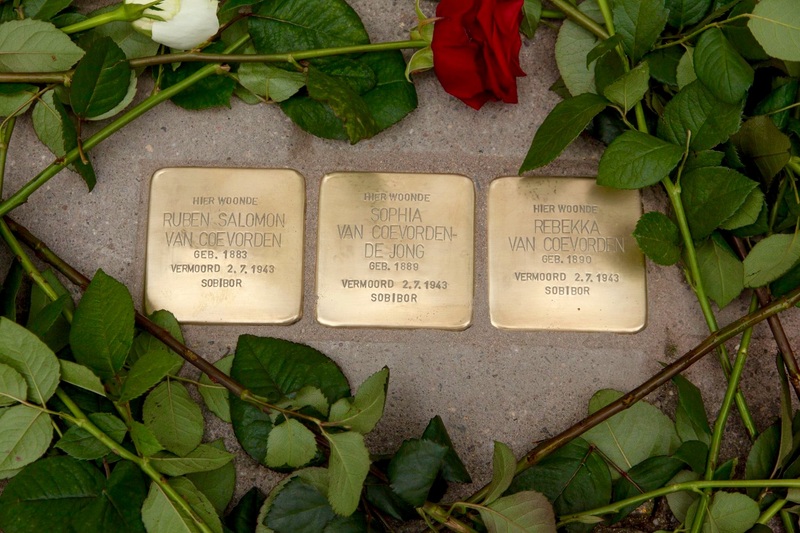 For example, for Ruben and Rebekka van Coevorden, a stone will be placed later. They, by the way, had four more brothers and sisters who were born in Strijen. But they lived somewhere else during the war. They too were murdered. 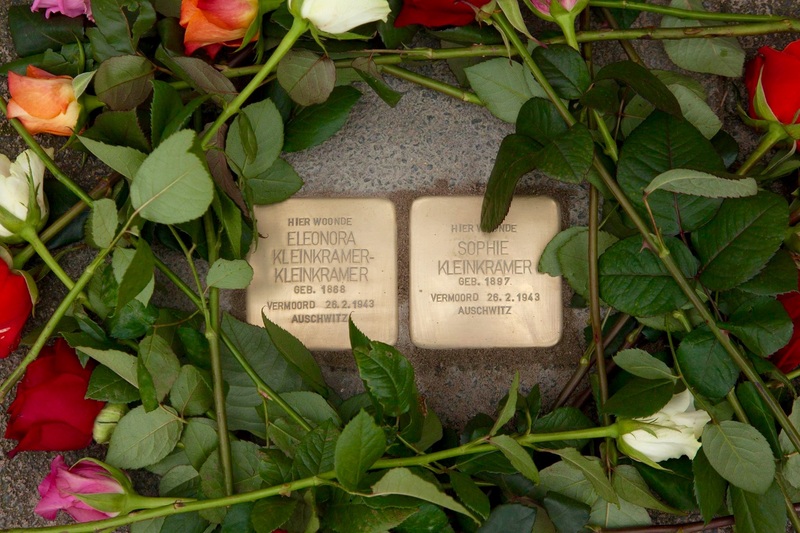 Their mother was a Kleinkramer, their grandmother a Zwarenstein. And there were many relations like that between the family. 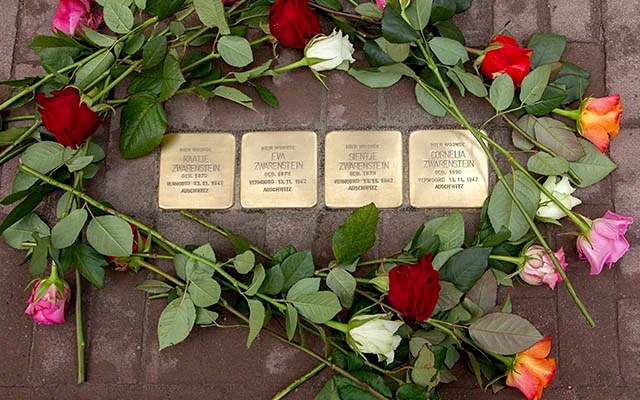 Remembering is good and beautiful. But sometimes remembering is not enough. Because we live with the knowledge that soon, there will be no one left who remembers... No one left who was there...No one left that knows anyone who was there... No one left who remembers the pain, the lacking of loved ones, the sadness. Many of us have known their great grandparents, we did too. But nit the great grandparents who were murdered in the war, the ones we could have grown up with. They were taken from us, just because of their faith, nothing more that that. And so sad to see that this excuse is still being used today to tar people with a broad brush. Fortunately, the forgetting will become a lot harder now and hopefully will be long after we are no longer here.